I made this absolutely beautiful asymmetric triangular shawl for a friend's birthday in February. 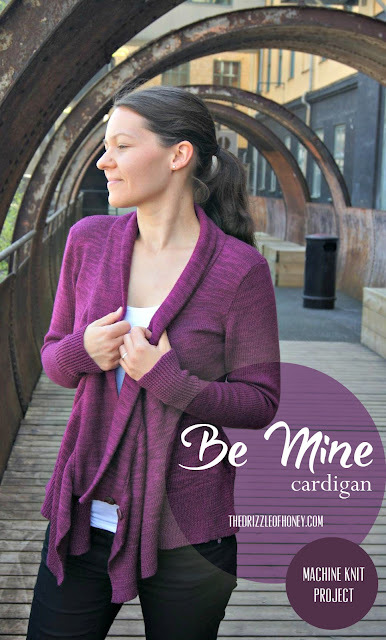 So, I am very happy to be able to show this lovely asymmetrical triangle shaped shawl! 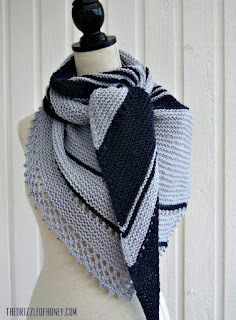 I used soft and fluffy Drops Karisma yarn in light blue and petrol-cerise for this shawl. This is a 100% wool yarn that gives a warm, yet airy fabric when knitted with bigger needles. I knitted Sky with 5mm needles. 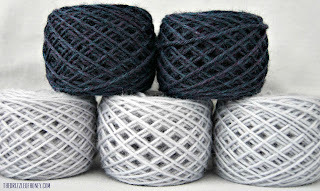 The suggested needle size for this yarn is 3,5 - 4mm. It really is a dream in blue! Sky came out so very beautiful, I had it on my dressform at home for a while when it was ready. And I found that somehow the shawl became even prettier every day that went by and I looked at it. 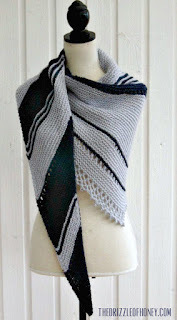 I designed this shawl especially for the birthday girl but I also wrote down a pattern as I went along. So this shawl was a prototype as well. 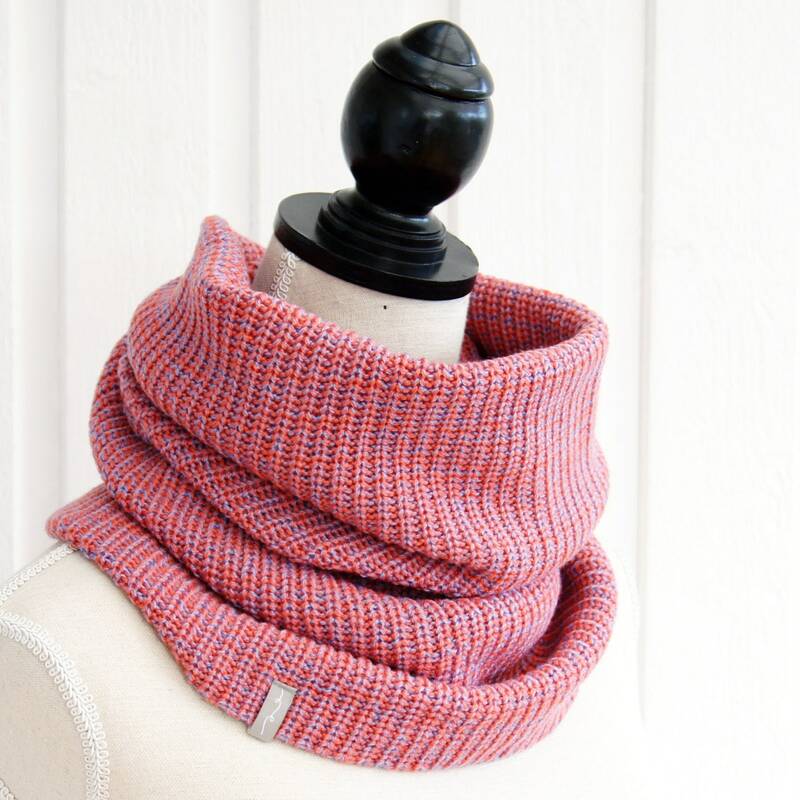 The main pattern is garter stich knit in the bias, but it gets very interesting through stripes, eyelet rows as well as a lace edge and picot bind off. For a final pattern I will knit another sample. 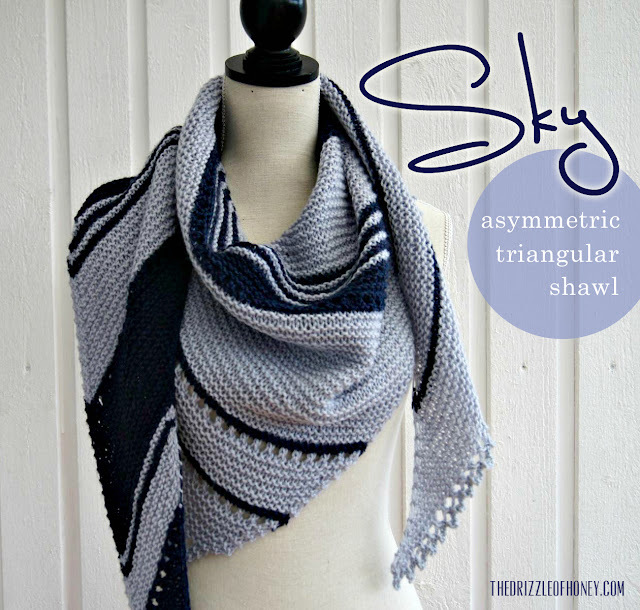 I named this shawl Sky because the design and the colors reminded me of the clouds in the sky. 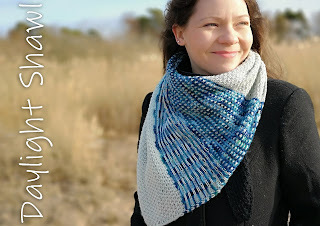 Just how the dark cloudes make room for the light blue sky to spread itself as the shawl widens to brighten your day. 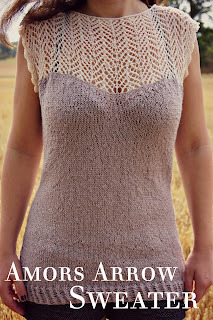 Of course you can also find this project on Ravelry.